I’ve always loved New Zealand readers. When I began column writing all those years ago, they became my exacting tutors. They insisted I was better at writing about dog poo than politics. Later on, when times were tough, they embraced me with great kindness. They taught me a person is never entirely alone. Since the publication of CLEO, I’ve been honoured to gain new readers from all over the world. 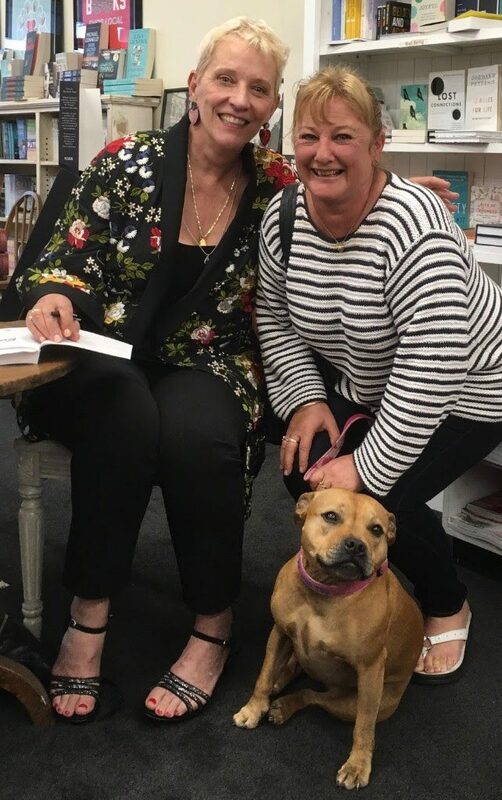 Whenever I start a new book, though, it’s mostly those loyal Kiwis I think of – Faye, Maureen, Iskra and countless others. You know who are. 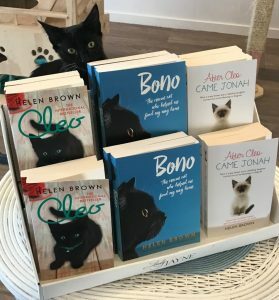 That didn’t stop me wondering if a two-week tour of New Zealand promoting my latest book BONO THE RESCUE CAT might be a bit ambitious. People had every reason to stay home in front of Netflix on a snowy South Island night. But when I stepped inside Oxford Workingmen’s Club, I had a feeling we’d be okay. Faces were friendly, and there were plenty of them. Poppies Bookstore , New Plymouth. Image courtesy Jim Tucker. There was only reason I was in the South Island. 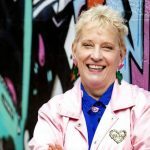 Emma Gillard runs a fantastic shopin the small town of Oxford, 40 minutes’ drive from Christchurch. She’s passionate about books. 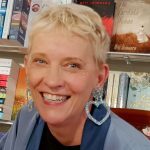 Emma persuaded my publishers she could rustle up a crowd, and she wasn’t wrong. Much as I enjoy talking to groups, it’s the one-on-one conversations afterwards I treasure most. There are always people wanting to share rich, often courageous personal stories with me. Hugs and tears are often needed. Next morning, fuelled by lattes made by Emma’s husband Alan, we hurtled into Christchurch to Catnap Cafe. The young owners, Nate and Alyssa, are devoted to their 15 felines, most of which struggle with disability. That didn’t stop them pouncing into boxes, leaping over Emma’s books display, and being off the scale in cuteness. Standing in front of the sell-out crowd, I was reminded of the adage “never appear in public with children or animals”. Those cats were upstagers par excellence. It was a magical afternoon, though. I was deeply touched when a woman presented me with a yellowed newspaper clipping of a column written decades ago. 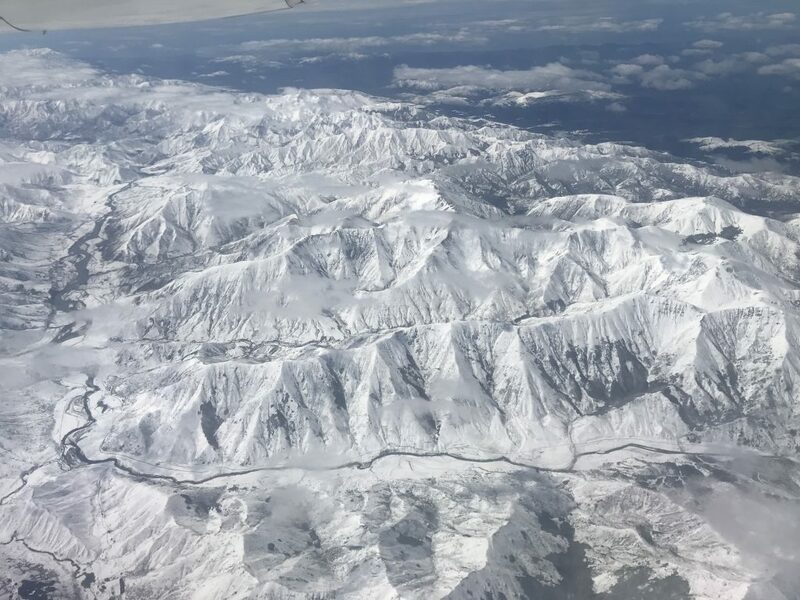 From Christchurch, I flew over the majestic Southern Alps to Nelson Arts Festival. With its proximity to beaches and national parks, Nelson’s a gem. 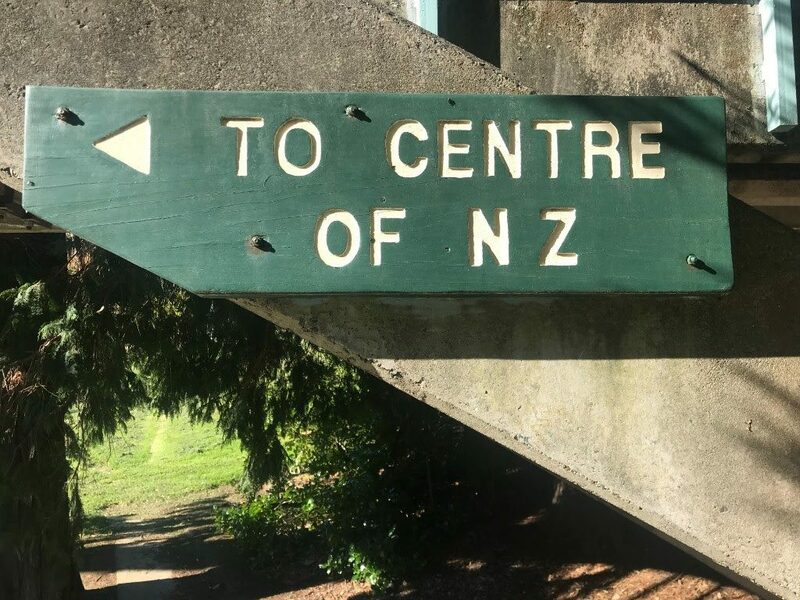 Wandering along the riverbank one morning, I started following signs to the Centre of New Zealand – until it became clear it’s on top of what most people would call a mountain. My on-stage interviewer, Jacquetta Bell, made me feel so comfortable, I probably blabbed too freely about last year’s prolapse surgery. Still, there were only 200 people in the room. Revisiting Wellington was an emotional experience. It’s where Cleo’s story began, and where our son Sam is buried. I was lucky to grab precious moments with friends and family while I was there. 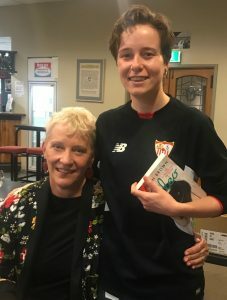 At Wellington Library, I met a young reader who’d persuaded her school library to stock all my books. She was one of several teenagers who approached me while I was in New Zealand. I loved meeting these thoughtful young people. 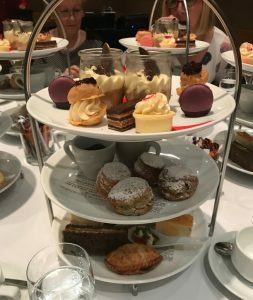 I still have no idea why The Australian Women’s Weekly NZ hosted such glorious high teas in Wellington and Auckland, but they were fabulous. Every detail was covered, including bespoke cat bags for take home goodies. Editor Michele Crawshaw and I had a hoot on stage. Though I try not to relive embarrassing moments, I have vague memories of Michele coaxing me into impersonating Michael Crawford serenading me with “The Music of the Night” in a hotel room many years ago. Just as well we saved the bubbles till after our talks. Napier switched on the sunshine for Hawkes Bay Writers Festival. Backstage, my interviewer Jessica Soutar Barron introduced me to the ultimate cure for a dry throat – half a banana. I wasn’t sure it worked, but it tasted good. Afterwards, I noticed a tall man standing patiently at the end of the book signing queue. Forty minutes later, after most people had left, he stood over me and stared without saying a word. It took a while to recognise him as a long-lost cousin, Noel Evans. Back in my home town, New Plymouth, my sister Mary and her husband, Barry, met me at the airport. Trees were heavy with blossom, crystalline surf crashed on the shore. As clouds evaporated to reveal Mt Taranaki in snow-capped glory, I wondered why I’d ever left. Few things are more daunting than visiting your old school. 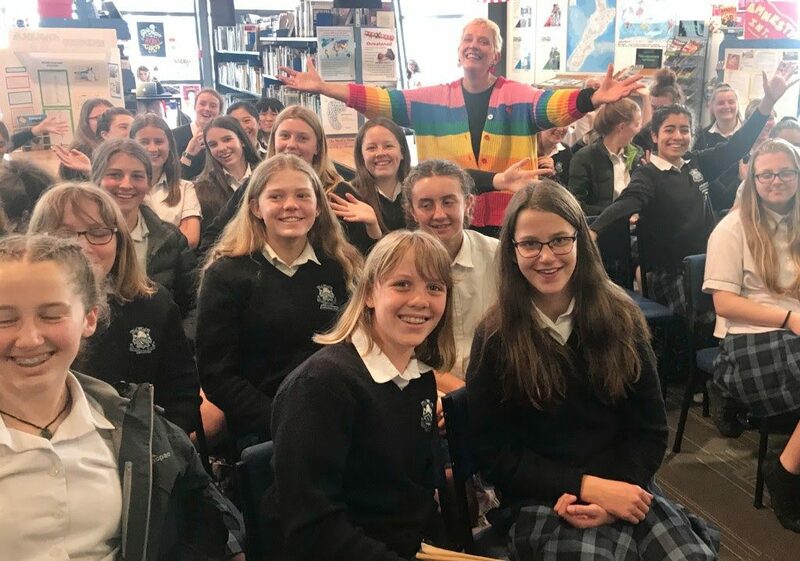 Fortunately, the Year 10 English students were willing to tolerate the ramblings of a mad writer in a rainbow cardie. That evening, the town’s literati turned out in force at Poppies book store. My old boss, Jim Tucker, gave a wonderful speech. An emotional finale in Auckland was a fitting end to a magnificent fortnight. Diane Andrew brought her precious dog, Hope, along to a bookstore. Choking back tears, she told us how her 26 year old son, Kurt, had died in a mining accident in Western Australia five years ago. A friend suggested she read CLEO. The book inspired her to get a dog. And that was the beginning of Hope. 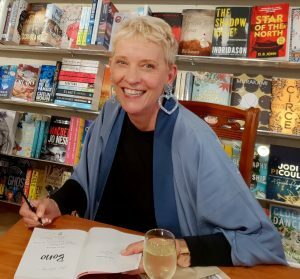 Huge thanks to Harper Collins, Australian Women’s Weekly NZ, Nelson Arts Festival, Hawkes Bay Writers Festival and everyone else who made the tour possible. Biggest thanks of all goes to the huge-hearted people I met along the way. Your hugs, tears and laughter are still with me. 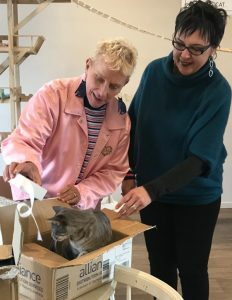 A special moment with Diane and Hope. 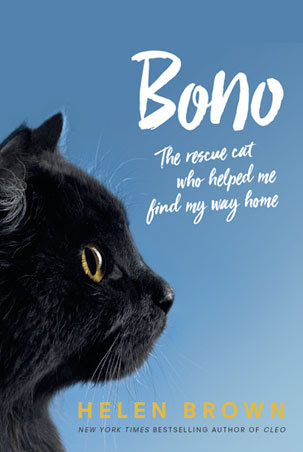 Australasia Cover: Bono – The Rescue Cat Who Helped Me Find My Way Home. 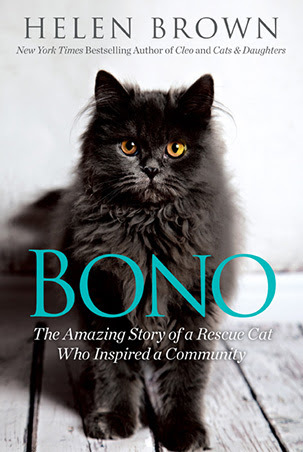 US / Canada Cover: Bono – The Amazing Story of a Rescue Cat Who Inspired a Community.